(Natural News) A recent study has found that older people who participate in activities such as caring for grandchildren, paid work, or volunteering are in better health compared with others who do not, showing that active aging accounts for 30 percent of health inequalities in seniors over 65 years old. The study, which was titled “Increasing knowledge based on demographic change”, was conducted in partnership with the Institute of Neurology at the Catholic University of the Sacred Heart in Rome, Italy under the Care, Retirement & Well-being of Older People Across Different Welfare Regimes (CREW) project. The study assessed the inequalities in health conditions among older people with different levels of education using three different measures (depression, physical limitations, and subjective perception of the overall state of health). “We have found that for some health indicators up to 30 percent of inequalities can be explained by the different degree of active aging of the elderly and that older people with higher education tend to be more active. The contribution is particularly substantial if we refer to participation in the labor market and voluntary and social activities, while it is marginal for the care of grandchildren,” said lead author Professor Bruno Arpino from Pompeu Fabra University in Barcelona, Spain. In a separate study that was published in Evolution and Human Behavior, it was found that when senior citizens occasionally help out in the rearing of their grandchildren, it can do wonders for their health. 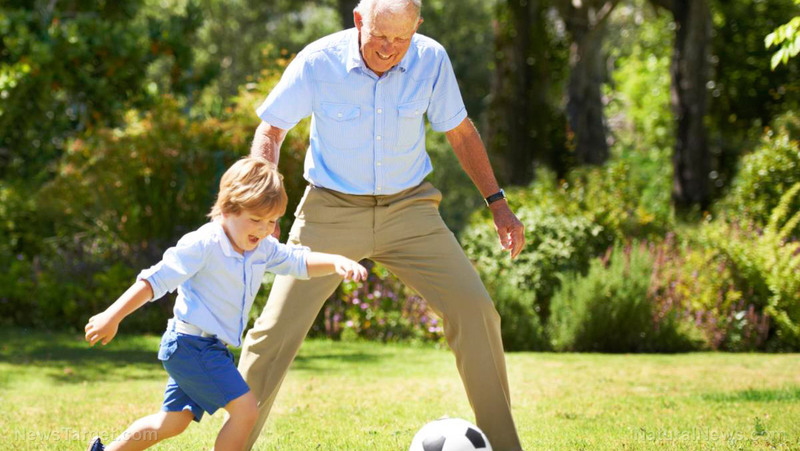 “Having no contact with grandchildren at all can negatively impact the health of grandparents. This link could be a mechanism deeply rooted in our evolutionary past when help with childcare was crucial for the survival of the human species,” said Sonja Hilbrand, doctoral student in the department of psychology at the University of Basel in Switzerland and lead author of the study. These findings were based on information gathered on more than 500 people over the age of 70 in the Berlin Aging Study. Study participants underwent interviews and medical tests every two years between the years 1990 and 2009. For more stories on new scientific discoveries and breakthroughs, visit Scientific.news. Previous :World health chief stokes the panic fires by warning that a catastrophic global pandemic is imminent… humanity WIPEOUT foreshadowed?